After graduation, an exciting chapter begins in your professional and personal lives, and we would love to share it with you. 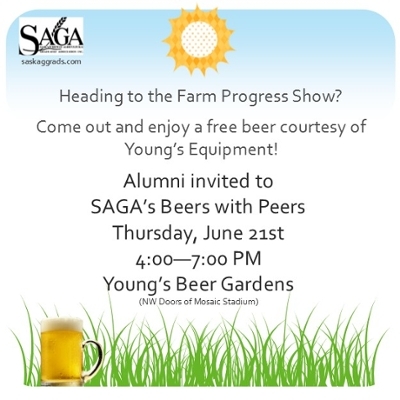 The Saskatchewan Agricultural Graduates' Association (SAGA) is an organization that supports graduates of the college and host of an annual reunion. All new graduates of the college automatically receive complimentary membership for one year. Thank you to the attendees, Class Reunion Chairs, Tour Guides and other volunteers who made the 83rd weekend a success. It was a great weekend with almost 400 people in attendance. Good company. Good venue. Good beer. Come and join your fellow grads for some reminiscing and networking. For those who have a dinner or other event that night, come early before you go and see grads from other years. The atmosphere will be relaxed and informal. The stories told will all be true. Refreshments and food will be provided, compliments of Dean Buhr. Look forward to seeing many of you there. You can contact Tanya Napper at phone: 306-966-4063 or email at (tanya.napper@usask.ca) if you have any questions. Each year the University of Saskatchewan recognizes alumni who have excelled in innovation, community leadership, public service or philanthropy. Many of our alumni are among the recipients of an Alumni Achievement Award. 2014 Fred Fulton (BSA’50, PGD’68. MCtgEd’72) for his significant contributions the University of Saskatchewan and the agricultural industry. 2014 Andrew Schmitz (BSA’63, MSc’65, DLitt’99) for his significant contributions to education, agriculture and economics. We are proud to have 10 of our alumni bestowed with this great honour in recognition of their influence and achievement for the well-being of our province. For more information about the Saskatchewan Order of Merit, please go to the Lieutenant Governor of Saskatchewan website. The Order is in recognition of outstanding achievements to the community and nation - making a difference. More than 6,000 members have been invested to date. Lorne Babiuk O.C., S.O.M., F.R.S.C., F.C.A.H.S. Bryan Laurence Harvey O.C., S.O.M. Jacob A. Brown C.M., S.O.M. Robert R. Ferguson C.M., S.O.M. Donald A. Rennie C.M., F.S.S.S.A. Established in 1972, the Saskatchewan Agricultural Hall of Fame recognizes individuals for their contribution to agriculture in Saskatchewan. 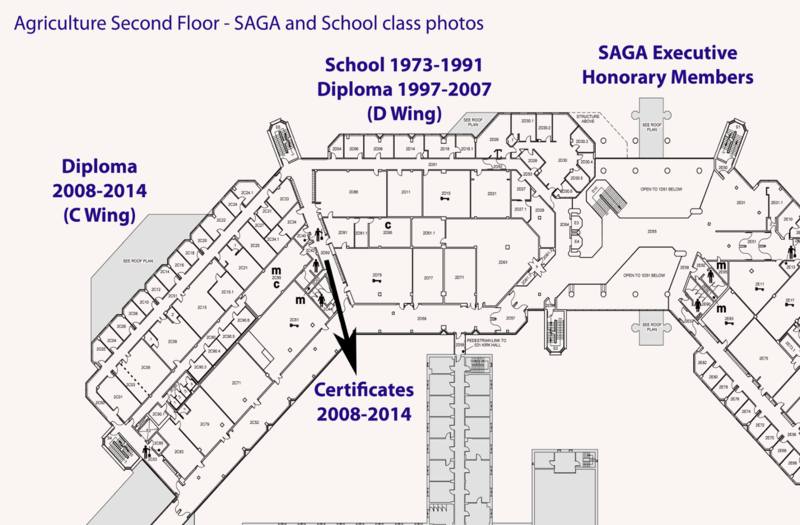 Many of our alumni have been inducted into the Saskatchewan Agricultural Hall of Fame (SAHF). The Canadian Agricultural Hall of Fame recognizes individuals for their contribution to agriculture in Canada and includes a few of our alumni. 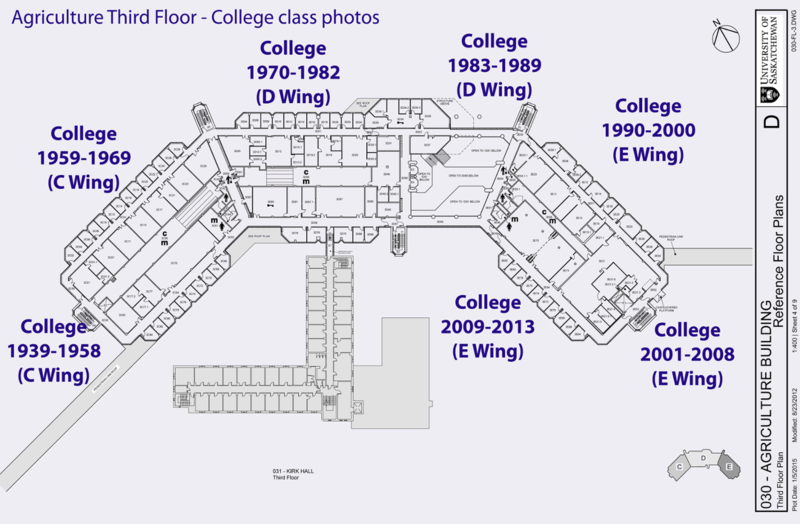 The college is proud to display composites from 1939 of all degree, diploma and certificate graduates. Typically organized by class reunion chairs, class gifts can be established to honour your graduating year and support a specific area of interest to your classmates. Previously supported initiaves have included: the AgBio Discovery Program, student bursaries, scholarships and infrastructure. To find out if your graduating class has an award or, if you would like to discuss other options, please contact our Development Office. Interested in volunteering at a college or university alumni event? Let us know!